Martina Nehrling Spellbound, 2016 acrylic on Montval paper 20 x 16 in. Sydney Licht Still Life with Sugar Packets & Can, 2016 oil on linen 10 x 10 in. Kathryn Markel Fine Arts is pleased to present a group show celebrating our 40th anniversary. Kathryn Markel came to New York City in 1975 to start her own gallery after working as a traveling prints salesmen for Landfall Press. She transitioned from prints to original works on paper, then expanded to include paintings, developing a program that valued rigorous yet beautiful works that could be accessible to those beyond what she considered to be the art world elite. Moving from the Upper East Side, to SoHo, and finally to Chelsea in September 2001, Markel navigated the market while staying loyal to her sensibility and passion for nurturing contemporary artists. To honor this journey, we will be featuring two collections of works. Kathryn Markel will be choosing pieces from her personal collection gathered from artists she has represented and admired over the course of her career. Accompanying this showcase will be highlights from the gallery’s program, representing our current exploratory direction. The curated pieces speak to the gallery’s backbone of impactful abstraction with a foundation of strong formal technique. Work by Deborah Zlotsky and Marcelyn McNeil showcase a masterful grasp of using color to create form and space, and developing tension through dynamic relationships. There is a push-pull in their paintings that results in a constant shifting of foreground and background, and flatness and depth. Sydney Licht represents our group of artists that subvert the conventions of traditional realms like still life and landscape. 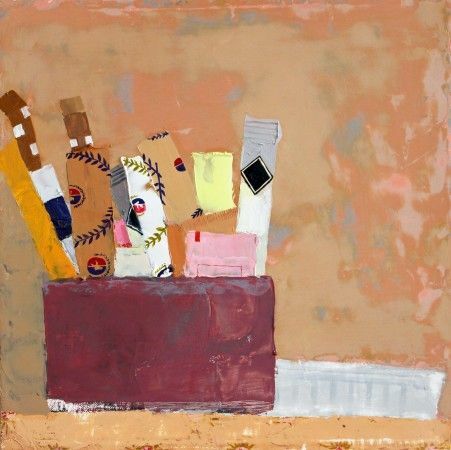 Her fresh perspective on still life is marked by shifted points of view, abstracted forms, and modern subjects. 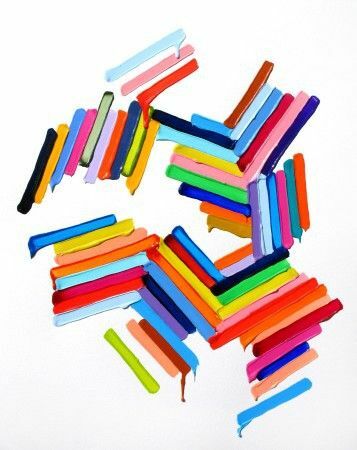 Donald Martiny and Martina Nehrling break painting down to its essence and relish the possibilities of color. Martiny creates hyperbolic gestural brush strokes freed from traditional support with his unique mixture of polymer and pigment, while Nehrling paints with isolated strokes of highly saturated color to build rhythmic imagery. Eric Blum and Debra Smith stretch the boundaries of what constitutes painting with their use of textiles. They are both grounded by modernist techniques and sensibilities, but Blum reveals his work through layering ink-washed silks with wax, while Smith pieces together vintage silk materials to form imagery that speaks in the same language as painting.